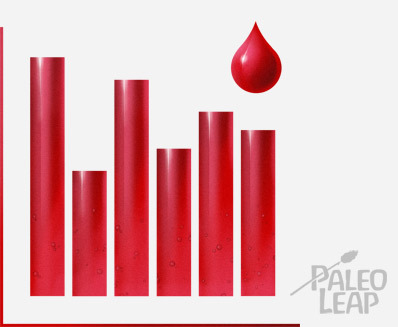 Donating Blood: Healthy or Hype? Today’s medical researchers are increasingly discovering a gut connection to more and more diseases, but they’re far from the first. In the early 1830s, a Parisian doctor named Francois-Joseph-Victor Broussais was already expounding his theory that almost all diseases spring from intestinal irritation and inflammation. So was Dr. Broussais really the great-great-grandfather of Paleo? Not quite. He might have been ahead of his time in his diagnosis, but the cure was a return to an ancient treatment more likely to kill his patients than heal them: application of 10-50 leeches to “reduce the inflammation” by sucking their blood. Not a cure most modern Paleo enthusiasts would recommend, no matter how much PUFA you ate! Bloodletting as a cure-all thankfully went out of fashion when we started discovering actually effective treatments that didn’t involve parasitical worms, but it’s still used for at least one condition: hemochromatosis, a hereditary excess of iron in the blood. And some people think giving blood may actually have health benefits for the rest of us, too, not as a treatment for disease, but as a way to keep our Paleo-adapted bodies healthy in the modern world. 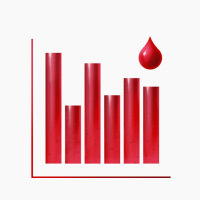 Epidemiological studies have consistently found a link between blood donation and several markers of good health. On average, blood donors have lower rates of cancer and heart disease. They have better blood lipid profiles, and more significantly, less of the oxidized cholesterol that’s far more likely to cause damage than just plain cholesterol by itself. Since this is all epidemiological (survey-based) evidence, though, these are findings to take with a large grain of salt. For one thing, donating blood is a form of engagement in the community, so blood donors also enjoy all the health benefits of stronger social connections and human interaction. Blood donors are more likely to come from higher socioeconomic classes, and since healthy food is more expensive than junk food, rich people tend to be healthier overall than poor people. Correlation, as we all know, does not imply causation. However, there’s also some more convincing non-epidemiological evidence. A trial in patients with metabolic syndrome found that donating blood resulted in greater insulin sensitivity compared to a control group. Some preliminary evidence also suggests a possible benefit for non-alcoholic fatty liver disease. On the other hand, a paper comparing two groups of blood donors (regular vs. occasional) found that there wasn’t much difference between the two groups’ levels of atherosclerosis. If blood donation itself improved health (rather than the lifestyle of people who tend to donate blood), you’d expect to see a significant difference between people who do it regularly and people who only do it every once in a while. Then again, it’s also possible that the bloodletting caused some other kind of change that reduced heart disease, in which case it would still be beneficial even though it didn’t affect atherosclerosis. On the whole, the evidence is preliminary and inconclusive, but it does point to potential benefits for healthy people who donate blood (unlike the medieval model where people were drained of blood when they were already sick – nobody is arguing for topping off the blood banks with hospital patients). If the studies linking blood donation and health are so few and far between, what else could make the case for its health benefits? A lot of it is based on evolutionary theory, specifically, theories about iron. Blood donation, supporters claim, is healthy because it reduces iron levels in the blood. This sounds a little strange, considering that iron is the most commonly deficient micronutrient worldwide, particularly in developing countries where few people have access to animal foods, but also in rich nations like the United States. A 2000 survey found that 9-16% of adult American women were iron-deficient. Since iron is crucial for energy and mental health (especially in developing children, this is a serious nutritional problem. As bad as iron deficiency is, though, iron excess can be dangerous too. Too much iron contributes to oxidative stress and free radical damage, an important driver of aging. By removing excess iron, some people argue, blood donation reduces inflammatory damage and contributes to overall health. For support, they point to lower rates of chronic diseases among premenopausal women (the population group most likely to suffer from iron deficiency, because they lose blood every month whether they need it or not) and note that women’s risk of heart attacks and strokes begins to approximate men’s after menopause (when their monthly “blood donation” stops). Other epidemiological evidence for this theory includes comparison studies of populations eating a large amount of red meat (a rich source of easily absorbed heme iron) and populations eating little to no red meat. Specifically, compare the Japanese (little red meat; fewer degenerative diseases) to the Americans (regular red meat consumption; more degenerative diseases). Instead of taking the standard line that the saturated fat and cholesterol in the meat is responsible, advocates of the iron theory blame all the iron. This begs the question: if iron overload is such a dangerous problem from one of our evolutionary staple foods, why did we not evolve to absorb less of it? An evolutionary perspective explains the danger of iron overload as the result of a mismatch between our ancient bodies and our modern environment. Before we had reliable ways of purifying our food and water, humans had to live with constant parasitical infection, which drained the body’s iron stores. To make sure our own bodies got enough iron, we evolved to store more than we needed. Now, when modern hygiene has all but eliminated the parasitic load on our bodies, we’re storing too much iron. Another theory holds that storing too much iron is actually a more recent genetic adaptation to eating a grain-based diet (poor in iron and rich in antinutrients that reduce iron availability). When humans started to rely on cereal grains for a majority of daily calories, we adapted to deal with it, and now people in the Western world (who have switched back to a much more meat-based diet since approximately the Second World War) are feeling the drawbacks of a once-advantageous adaptation. As theories go, both of these are intriguing, if not conclusive. They do a fair job of explaining how iron overload and iron deficiency can both be widespread problems – certainly much better than the “we evolved to bleed more frequently” theory: in the Paleolithic, that much blood loss would have meant a major wound, and most likely death rather than adaptation. Whether or not these particular theories are true, it does seem that excessively high iron levels are less than ideal, and that if your blood iron is abnormally high (which the Red Cross will conveniently test for you when you go to give blood), blood donation could be a safe and healthy solution. Even if they want to, not everyone with high levels of iron in their blood is allowed to donate it. 1.1 million people in the United States have HIV (and several million more are still barred from donation by blanket bans on gay and bisexual men, based on the fear of HIV). Roughly 1.5 million have Hepatitis B. Plenty of other conditions also preclude blood donation – ironically enough, including hemochromatosis. Most blood bank standards are very strict; not everyone can just walk up to a trailer and volunteer their veins. Fortunately, there are plenty of options that don’t involve re-enacting a Paleo-style battle with a wooly mammoth, intentionally contracting a parasite, or relying on bloodsucking worms. First, you can reduce the amount of iron you absorb from your food by separating iron-rich foods from Vitamin C (which increases iron absorption). Also, avoid cooking with cast-iron pots and pans, since this is like an iron supplement added to everything you eat. Unfortunately, reducing your intake of iron-rich foods is usually not a healthy option, as this would probably lead to deficiencies of other nutrients as well. Phlebotomy (or medicinal bleeding) is also available especially for people with hemochromatosis: essentially, this is the same thing as blood donation, except that the blood is thrown away instead of given to someone else. Other remedies take out the iron that’s already there. They’re called chelating agents, and in general they’re things Paleo tries to avoid (since the vast majority of people have problems with mineral deficiencies, not mineral excess). Several chelating agents are available over the counter, but it’s a good plan to discuss them with a doctor first, since there can be dangerous side effects if you take a chelating agent when you don’t need one. For patients with hemochromatosis, giving blood is lifesaving, and there’s a reasonable amount of evidence that blood donation might have some small health benefits for otherwise healthy people, especially men and postmenopausal women. Certainly there’s no evidence that it’s dangerous or harmful, provided that the proper safety and sanitation procedures are followed. Ultimately, though, the most compelling reason to give blood is the other people whose lives depend on it. Little perks like a minor improvement in insulin sensitivity or cholesterol levels are nice for the donor, but they’re nothing compared to the immediate, life-saving benefit for the recipient. The real reason to give blood isn’t the small benefit for yourself; it’s the huge benefit for someone who needs it.